Jindrichuv hradec is a town located at the southwest edge of Bohemian-Moravian Highlands (Ceskomoravska vrchovina). It used to be the richest subjective town, well-known for drapery. The town centre is created by the Namesti Miru square with typical bourgeois houses. Some of them have a Gothic base, but most of them are in Renaissance style, the minority is Baroque and Classicist architecture. The town was surrounded by walls. The Church denomination had a significant influence during town history. The most meaningful and eldest sacral building is the church of St. Jan Krtitel with a group of Gothic frescos. The dominant feature is the Gothic cathedral “Nanebevzeti Panny Marrie” which has been built at 15th meridian. 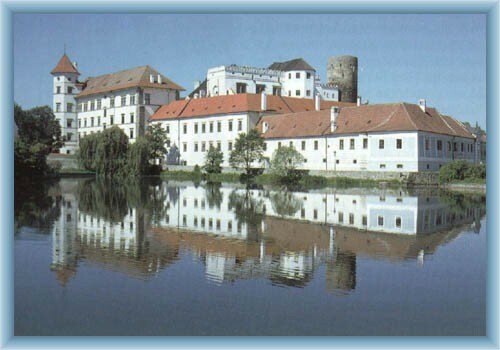 A castle and a chateau belong to Jindrichov Hradec as well. Originally Gothic castle was rebuilt at the turn of 16th and 17th century into an ostentatious Renaissance chateau. The historical centre is a protected monument reservation. The museum of this region was set here to Jindrichov Hradec established in 1882. Since 1927 it has been settled in the Renaissance building of former Jesuit monastery at the Balbinovo square. Its most attractive exposition is “Kryzovy Jeslicky”, the biggest folklore mechanical Bethlehem in the World.